A story about a brainy lion for children of all ages to enjoy. Are you or your children afraid to stand up and be heard? Are you or your kids struggling with self confidence? Leonard the Clever Lion is worried that he is not as good as his brother Larry. 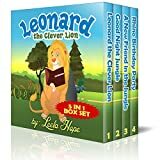 Leonard is not as handsome, and not as strong as his brother, but using his brain and his caring heart he solves the problems of the other jungle animals and they elect him the new King of the Jungle. Watch Leonard conquer his fears and help his friends. See the story unfold with vivid illustrations and told through rhyming verse.Â Learn what it takes to be a really good lion. Do you know how to be a good friend and show someone that you care? 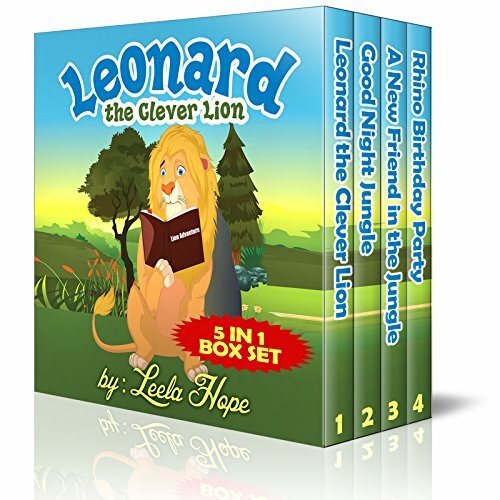 Leonard the Clever Lion and his friends want to surprise their friend Rhino on his birthday. But when Leonard realises his friend is sad he has to make sure the party happens in time. Ant learns that even the smallest people have a lot to offer. The story is told beautifully through rhyming verse and comes to life with amazing illustrations. This story is truly fun for all ages. Do you or your children want to learn about making friends? Leonard the Clever Lion and his friends have noticed odd things happening around the jungle. Toys are going missing and games are being ruined. A new friend is trying to make trouble because he is not sure how to be a friend. Learn about how to introduce yourself and meet new people. See the story unfold with vivid illustrations and told through rhyming verse.Â Learn what it takes to be a really good friend. Do your kids worry that they are the only ones who are afraid of the dark? It is time to get ready for bed and Leonard the Clever Lion and his friends all have their special things that they need to go to sleep. Rhinoâ€™s favorite sleepy toy has gone missing and the friends look everywhere for it. Will the friends find the toy before it is time for bed? Will Larry wake up in time for bed? A story for children of any age and parents too. See the story unfold with vivid illustrations and told through rhyming verse.Â Learn about what it takes to get a real good night of sleep.